Overview: Are you ready for multiplayer action? Axis or Allies, victory or defeat, mayo or mustard? All will be decided in the ultimate FPS showdown, Blitz Brigade! Overview: Like tanks? Like booms? Then download Boom! 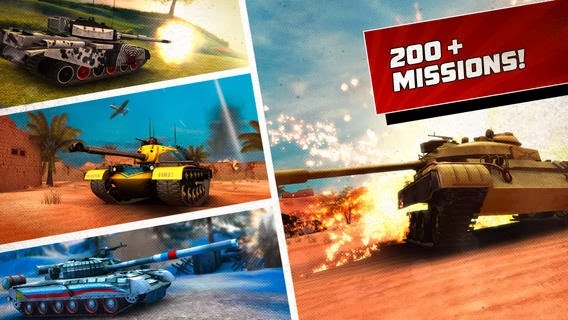 Tanks – packed with explosive tank battle action for Android Phones and Tablets.